Our Intermediate Kids 2 Day Course is a fun relaxed environment for younger riders (minimum age 9 years old unless prior arrangement, recommended 10-13 years old) to safely progress their mountain biking and the core fundamentals. Understanding core fundamentals that are the foundations of progression will ensure a more rapid rise in ability. Once established these core skills can be developed and applied to more technical trail features. 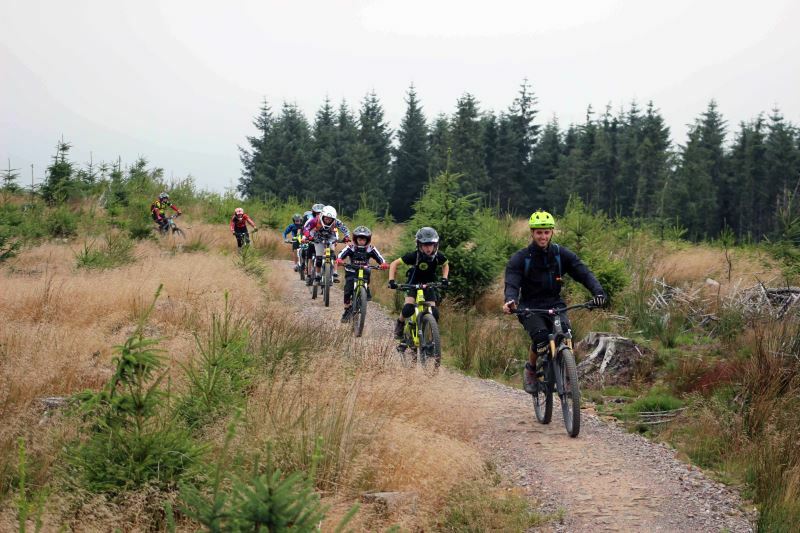 This course would suit the ability of the children who regularly attended the Saturday Club 2 sessions at BikePark Wales. Full Face helmets are mandatory. - How good to attendees have to be? We welcome all riders but to get the most from the session riders should have a reasonable level of confidence in an off road environment. Previous trail riding experience is recommended (such as being able to confidently ride down Melted Welly and Blue Belle at BikePark Wales).